On Monday, January 24, 2011, The US Department of State (DOS) hosted a teleconference entitled: Ethiopia, a New Adoption Agenda. The purpose of the conference was to gather a variety of adoption stakeholders, discuss concerns, and find some common solutions to address those concerns. Minutes of the meeting will be published soon on the DOS adoption website: www.adoption.state.gov. PEAR participated in the conference via teleconference*. While we are impressed with the DOS in taking action preemptively to encourage transparent, ethical adoptions in the best interest of children, we were also quite concerned with seriousness of issues expressed. Participants from all sectors agreed that these concerns were legitimate and need to be addressed both in the short and long term for the viability of the adoption program in the future. The DOS in conjunction with adoption stakeholders and professionals will be creating a short list of immediate actions before moving on to long term solutions for orphans and vulnerable children. PEAR will be participating in this effort along with other NGOs, adoption service providers (ASPs), government programs, and interested parties. PEAR welcomes participation and discussion by adoptive parents and prospective adoptive parents in presenting solutions as part of this process. Interested persons may contact PEAR at reform@pear-now.org. Adoptive Parents: We are asking adoptive parents who have suspicion or knowledge of unethical or irregular behavior in their child’s adoption to bring these concerns to the Department of State via askci@state.gov . If the issues concern inappropriate or ineffective conduct on the part of your ASP, we ask that you report this to the Council on Accreditation if your agency is Hague accredited or seeking Hague accreditation http://adoption.state.gov/hague/overview/complaints.html, or to the DOS through askci@state.gov if the ASP is not Hague accredited. PEAR is willing to assist and guide families through this process. If adoptive parents are concerned with possible retaliatory practices by their ASP, or fear that a disclosure will compromise custody of their child, please feel free to contact PEAR at reform@pear-now.org and we will help address your concerns. Prospective Adoptive Families: We are asking prospective adoptive families to do the following with the hope of relieving pressure on the Ethiopian system which appears ill-equipped to handle the huge increase in adoption and the underlying concerns expressed at the teleconference. 1. Choice of Program: At this time, due to our serious concerns with the ability of the Ethiopian government and orphanage personnel to properly, thoroughly, and transparently participate in the adoption process, we are asking that prospective adoptive parents refrain from initiating an adoption from Ethiopia, with the sole exception of waiting child adoption programs through agencies that meet the criteria below. Agency does not allow prospective adoptive parents to take custody of the child until the adoption has passed court in Ethiopia. The manner in which children come into care. How are the children relinquished, for what reasons and by whom? Are coercive methods used to recruit children from intact families? Financial incentives are not always the motivating factor-- there are often other coercive methods being employed. Do families of origin view adoption in the same manner as we do here in the US? Make yourself aware of the appropriate Ethiopian and US laws and processes you will participate in. Do you know what the adoption laws are in Ethiopia? Do you know what the legal effects of adoption are in Ethiopia? Do you know what your burden is in proving your child’s status as an orphan before the US Embassy? Do you know the procedures utilized to prove orphan status when a concern or anomaly is discovered? Do you have the emotional and financial means to defend a challenge to orphan status? Read the stories of children adopted from Ethiopia. What are their concerns? Thoroughly research the issues of transracial adoption and honestly evaluate whether you, your extended family, and your community are suited to parent, serve, and guide a child of another race. Thoroughly research adoptive parenting and honestly evaluate whether you, your extended family, and your community have the appropriate tools to guide your child through often complex and difficult issues. Are your expectations in alignment with the realities? Are there local resources for: quality adoption education, assistance with post-institutional behaviors, and appropriate medical, educational and behavioral interventions? Are their local cultural resources and language/translation assistance? Do not assume that you can handle everything through love and faith alone. *PEAR was scheduled to present on Panel One of the discussion, however, a family emergency kept us from sending a representative. We were invited to submit a statement to be read to participants. The text of our statement will appear shortly on our blog. This manifesto is extreme, unjustified, unsupported by evidence, and dangerous. One of your suggestions for choosing a provider is to make sure the "Agency has no complaints or has properly and fully responded to complaints of inadequate care of children in transition homes or otherwise under the agency’s care or the care of an institution primarily financed by the agency." Where can PAP’s/AP’s find such information and know that it is legitimate and not just hearsay? Lauren said... "This manifesto is extreme, unjustified, unsupported by evidence, and dangerous." What is extreme, unjustified and dangerous is the manipulation of people, policies, and procedures by some unscrupulous players in Ethiopian adoption who are motivated to produce quantity adoptions rather than quality adoptions. Manufacturing orphans, disregarding regulations, creating inappropriate relationships with orphanages, manipulating families of origin and misrepresenting adoption programs is extreme, unjustified, and dangerous. What possible evidence do you have that contradicts anything we have reported or proposed to ease some of the pressure and allow proposed solutions take hold before recruiting new families? Jennifer said "Where can PAP’s/AP’s find such information and know that it is legitimate and not just hearsay?" This is the one of the biggest problems for prospective adoptive parents. None of the current enitities who receive reports on misconduct (JCICS,COA, DOS, USCIS, US Embassy, MOWA, ET DOJ) will share information about complaints against agencies or orphanages. PAPs can only rely on the stories of other families who have been through the process. 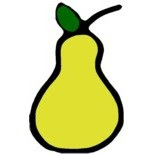 PEAR has received allegations of mistreatment as well, and we will share these privately with the understanding that these are allegations for which we do not have the investigative resources to confirm or deny. Again heresay is all we have to rely on. I believe the information on Ethiopian adoption on this Brandeis University School of Investigative Journalism site is critical reading for all adoptive parents whether before, during or after adoptions from Ethiopia. Some prudent advice for Prospective Adoptive Parents. Our Canadian agency meets all of the criteria outlined - thanks for the checklist, an excellent summary. First, I like to commend the strict measures the State Dept. is highlighting here. That said, it nags at me that this enterprise called Adoption is not so much about helping couples craving for children or placing orphaned babies in good homes, as about the profits to be had from such enterprise. Just reread the conditions that are being laid here (for good reasons, I might add). The whole enterprise reeks of a criminal enterprise. The sinister side of this enterprise is only too evident. Even the Hague had to address it. Never mind it gives the impression that international adoption is being done legally. It only seeks to take advantage of legal cover. Ever wonder why when an earth quake hits a country, international traffickers move in to steal babies en masse? I recall a report of 36,000 babies stolen from a single earth quake incident in a country I cannot quite remember now. And stop talking about 5 million orphans in this or that country. You grab the numbers from thin air as PR to facilitate the legal theft. I am afraid all this is a legal baby trade and nothing more. Third world countries would be better advised to shut down these programs. They fuel a negative and stereotypical image of their countries than any meaningful benefit they derive from them.